Please note that check-in is only possible between the hours of 0730 and 2000. 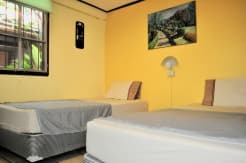 No exceptions.Our cosy, family run guesthouse is strategically located (not in the old city) near two markets – Warorrot Market in Chinatown (the local day market) and the night market. 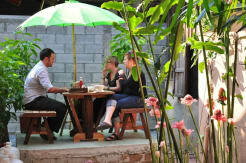 We’re within walking distance to the night market (10 - 15 minutes), and to the old city it only takes 15-20 minutes. 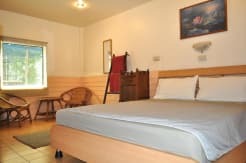 In our neighbourhood you’ll find art and handicraft galleries, bars, restaurants, coffee shops and the convenience of a Lotus Tesco Express mini mart.Our Guesthouse is in a traditional Thai teak wooden house which is over a hundred years old. 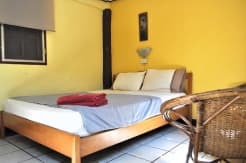 It’s surrounded with a private tropical garden, perfect for chilling out in a hammock.Our rooms are simple but tidy and functionally furnished; depending on the room you book there is an option of a fan or air conditioning. 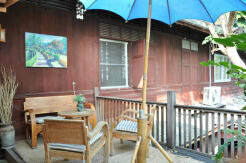 Rooms from Baht 350 - 400 are fan cooled and from 580 - 620 Baht are aircon cooled. At our tours desk you can book excursions like trekking or sightseeing tours, mountain biking, white water rafting and zip line trips, cooking courses and many other activities. 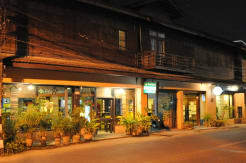 We’re authorized to sell tours by the Tourist Authority of Thailand (TAT) with the License No. 23-1176.To stay in contact with your friends and family you can use our Internet and Wi-Fi facilities for free!If you’d like to pamper yourself with a traditional massage, just check out our massage and nail studio.Our aim is to give you a lot of fun, a memorable experience and unforgettable moments in the land of smiles.We have Swiss/Thai management so we speak English, Spanish and Thai! Smoking is strictly forbidden in the rooms. Check-in: 0730 (subject to availability) to 2000. Please note that check-in is only possible between the hours of 0730 and 2000. No exceptions. Payment is due upon arrival by cash only, please. We do not accept credit cards. 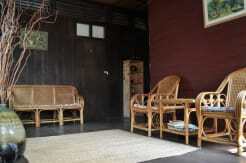 Prices are per person per night (singe travellers must pay for two people if he/she books a double or twin room). 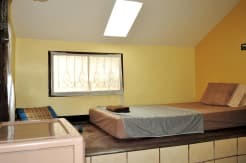 We have a 24hr cancellation policy. 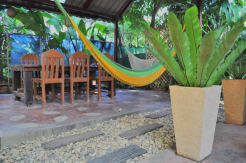 Late cancellations and no-shows shall be charges the equivalent of two nights' accommodation. 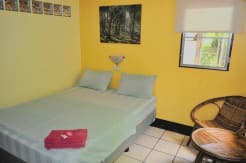 Our rooms are simple but tidy and functionally furnished; depending on the room you book there is an option of a fan or air conditioning. Take a Taxi. Price 120 - 160 Bath. Take a Tuk-Tuk or a red pick-up truck. Price: 60 - 80 Bath. The Charoenrat Rd is on the east side of the Ping River. We're between the Nawarat and Nakorn Ping Bridge. The two markets, Warorrot (local market) and night bazaar (5 - 15 minutes walking distance). Walking distance to the old city approx. 15 - 20 minutes. 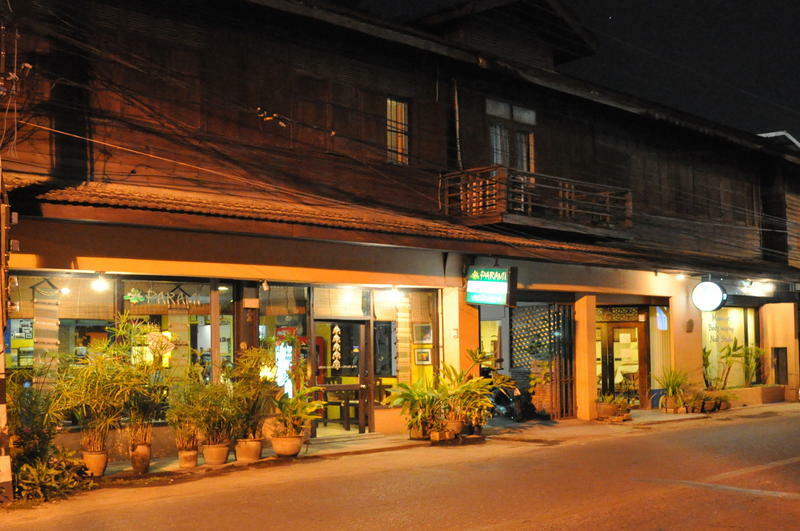 We are on the east site of the Ping River where some of the famous Bars & Restaurants, coffee shops and tea houses as well as art and handy craft galleries in Chiang Mai are located.